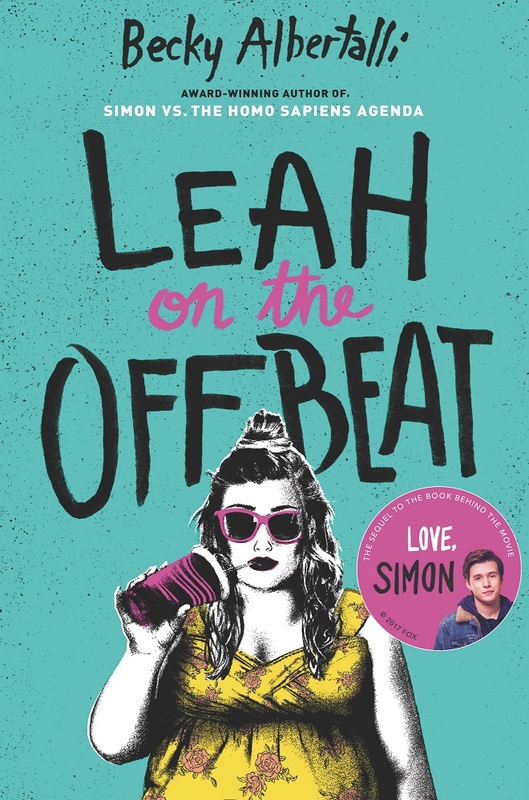 Leah on the Offbeat delivers all the charm of Simon vs. the Homo Sapiens Agenda and continues to tell a hopeful story about friendship and love. Becky Albertalli charmed the YA world with Simon vs. the Homo Sapiens Agenda when it debuted a few years ago. We fell even more in love with Simon and his friends with the movie Love, Simon. Now we get the chance to fall even more in love with Simon’s BFF Leah—and boy does she make you fall head over heels. Leah on the Offbeat is the sequel to Simon vs. the Homo Sapiens Agenda. It tells the story of Simon’s best friend Leah Burke. She deals with identity and friendships as she struggles to express herself amidst the chaos of senior year. Leah is a brilliant character. She’s alive and immediate, and that’s not just because we know her from Simon. Leah knows who she is; she knows her desires and her labels, even if she’s not comfortable sharing those with others yet. She has a voice that’s instantly recognizable, with touches of Slytherin snark and Han Solo swagger. Her voice comes out strongly in Leah on the Offbeat’s dialogue, which often feels like conversations with your best friend. While Simon takes time to figure himself out, Leah is loud and proud. Her certainty is exactly the kind of story we need after reading Simon. It shares the hope of visibility Simon leaves readers with and builds a world where we can continue finding and defining ourselves. Leah’s story made me feel seen and understood in ways I never have before. It is still a journey of discovery, but Leah’s story is about how to express herself. She’s still figuring out the details. Anyone who has struggled to share themselves will benefit from Leah’s ability to live both proud and unrefined. Albertalli lets this be Leah’s story, but the supporting characters are all there in just the right amounts. It’s a comforting dose of Simon and a refreshing new look at characters like Abby, Nick, and Bram. The familiar setting of Shady Creek and Waffle House lets Leah’s story shine. Her story tells the truth about high school: the pain, the nostalgia, the finding yourself, and the figuring out how to share your truth. What really draws readers to high school, especially Leah’s experience with high school, is that it gets to the truth of what it feels like to be human. Leah just wants to find the right way to share herself with others. Simon gave a voice to so many gay teenagers. Leah gives a voice to another wave of LGBTQ+ youth. It is the book many of us have been waiting for. I feel like I could take on anything now that I’ve read this book. Leah’s confidence is magic. Leah on the Offbeat is available now! Get your copy from Amazon, Barnes and Noble, or Indiebound. And don’t forget to add it on Goodreads!